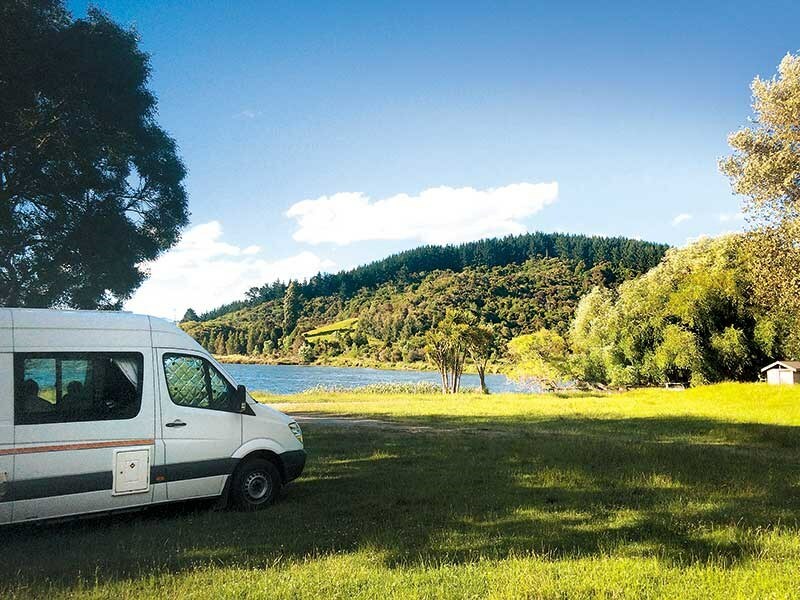 Former editor Jill Malcolm pulls over at Lake Tutira, an inviting camping area in Hawke’s Bay. We pulled off SH2 into the DOC site on the water’s edge that afforded us shade and shelter. 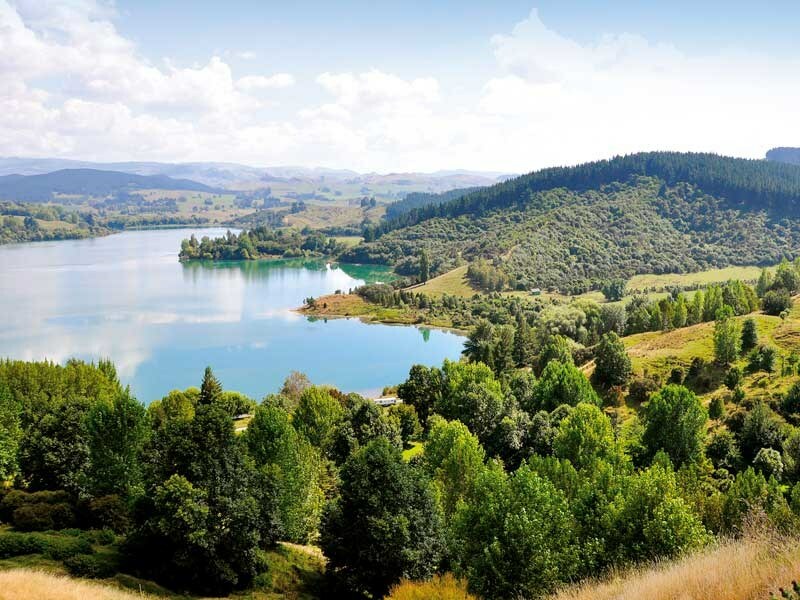 On the southern shore of hill-cradled Lake Tutira, this inviting camping area is in one was one of Hawke’s Bay’s few aquatic reserves. Beside an unruffled, reed-fringed lake are two tranquil areas for CSC vehicles to park. 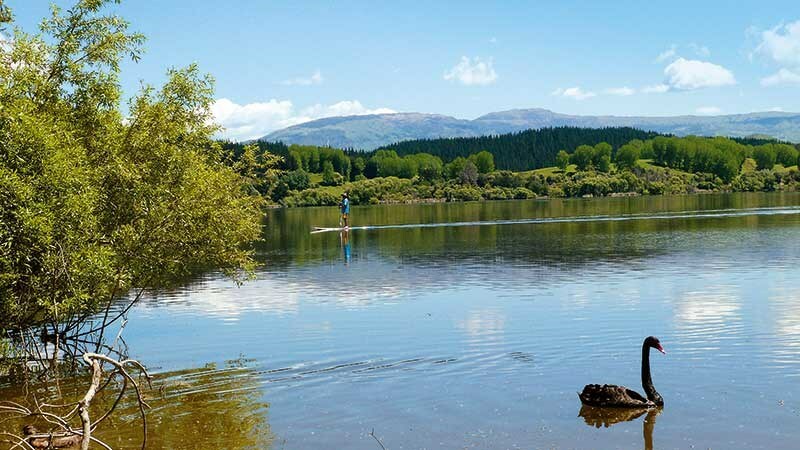 Since the early 1880s, Tutira sheep station, of which the lake is the watery heart, has been linked to the name of one of New Zealand’s greatest farming pioneers and nature observers, (William) Herbert Guthrie-Smith. This extraordinary man was a farmer, philosopher, philanthropist, creative thinker, skilled writer, and an outstanding naturalist. He was barely out of his teens when he settled on his 61,000-acre block of bracken-covered countryside and called it Tutira. For 60 years, before his death in 1940, Herbert wrestled with the infertile high country and eventually molded it into profitable farmland; but it is his highly regarded books and essays that give us the vivid pictures of the natural world that he so closely observed. His two occupations, farmer and conservationist, were at odds. He worried that farming kept him from his nature observations and contributed to the decline of birds and wild habitat. He was one of the earliest voices calling for the conservation of New Zealand’s flora and fauna. When he died at the age of 80, Oliver Duff, editor of The Listener at the time, wrote of his departure as a public calamity and compared his work to Darwin and Fabre. Today, Tutira Lake and environs is a wildlife reserve, a haven for birds and a popular location of non-powered watersports. DOC, Forest and Bird and teams of volunteers pool their time to restore areas of native trees around the reserve, which now includes an arboretum. Campers and visitors have access to four walking tracks on the property. They vary in length and degrees of difficulty. The Nature Walk takes just 45 minutes; the Great Walk up to the top of Table Mountain takes around five hours. The homestead, where Herbert toiled over his writings, still stands and the farm is run by a trust that he set up for the benefit of young New Zealanders. Per chance this retiring Scotsman, who referred to himself as "a not altogether idiotic sheep farmer", is looking at us from some other realm, he will be pleased to know his farming labours are not lost and the flora and fauna he loved so much are in good hands.